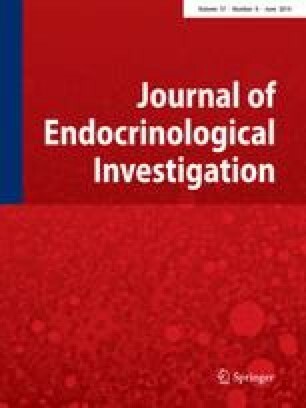 Thyroid nodules are diagnosed with increasing frequency in clinical practice. The first step in the management of patients presenting with thyroid nodules is an accurate triage of those who should be referred to surgery [1, 2, 3, 4, 5]. In spite of the advances in ultrasound (US) imaging [6, 7, 8] and the promising results of molecular analysis [9, 10, 11, 12, 13, 14, 15, 16], this basic step still strongly relies on cytology . Among the acronyms used to indicate the sampling technique for thyroid cytology (FNA, FNAB, FNAC, FNC), fine-needle aspiration (FNA) is the most frequently adopted and it will be employed in this document. When the cytologic specimen is obtained without aspiration the term FNC (fine-needle cytology) may be used . Francesco Nardi, Fulvio Basolo, Anna Crescenzi, Guido Fadda, Andrea Frasoldati, Fabio Orlandi, Lucio Palombini, Enrico Papini, Michele Zini, Alfredo Pontecorvi and Paolo Vitti declare they have no conflict of interest.